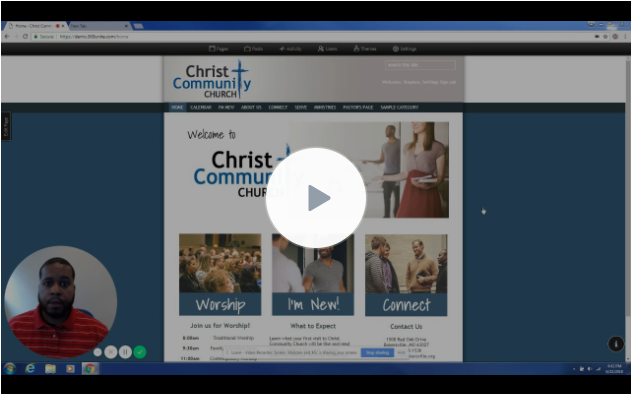 The Groups feature in Church360° Unite is a powerful tool that allows you to create a separate site within your site. 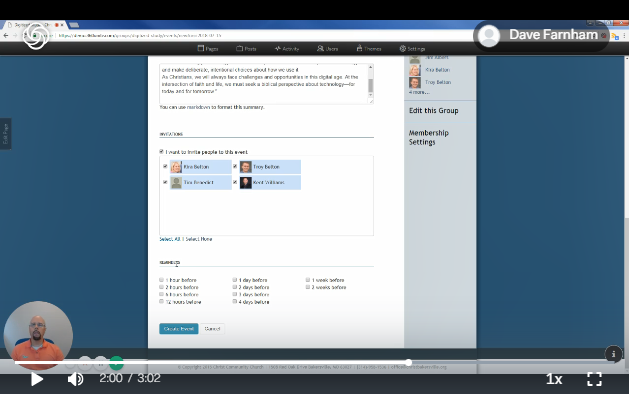 A group leader can add standard pages like Events, Discussion, and Members to a group, as well as additional unique pages. 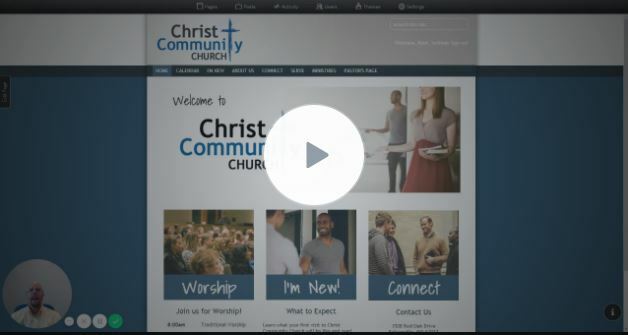 Welcome to the wonderful world of creating your website using Church360° Unite! Feeling some pressure? Don’t. You can do this. I promise you, with a little guidance you’ll be sailing through and wondering why you ever worried in the first place. 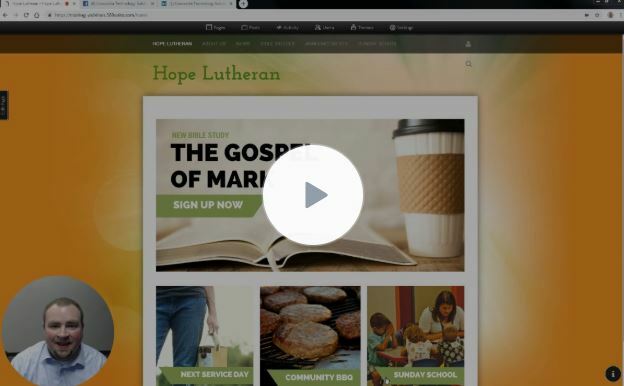 In this series of articles (we’ve dubbed “Unite Basics”) you’ll learn the easiest way to make an attractive website for your church with the least amount of headache. Since the email log was released in Church360° Unite, we’ve had a few questions about what the log statuses mean. Here’s a quick explanation to guide you! This week, we’re rolling out a brand new help system in Church360° Unite called the Information Center. Last month, we introduced a new feature in Church360° Unite that allows you to invite other users to an event. This month, we’re introducing a new feature that will take events another step forward. Evites are a new Church360° Unite feature that allows you to send email invitations after creating an event. Each invitee will receive an email invitation asking them to RSVP. Once they respond, after selecting “I’m going” or “I might go," they will be added as a participant to that event. Last month, we showed how you can add pages to groups to create a site within a site. Since then, we’ve added the functionality for you to choose exactly who sees what information within each group. The Groups feature has been in Church360° Unite since its release. 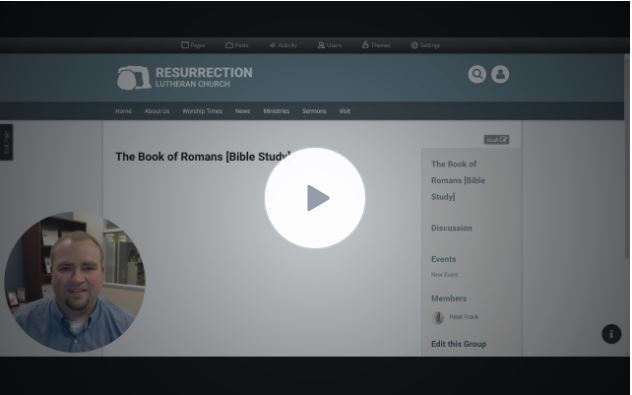 We received feedback from churches who said they wanted to be able to add a home page and additional pages to groups, so we’ve added that great new feature. 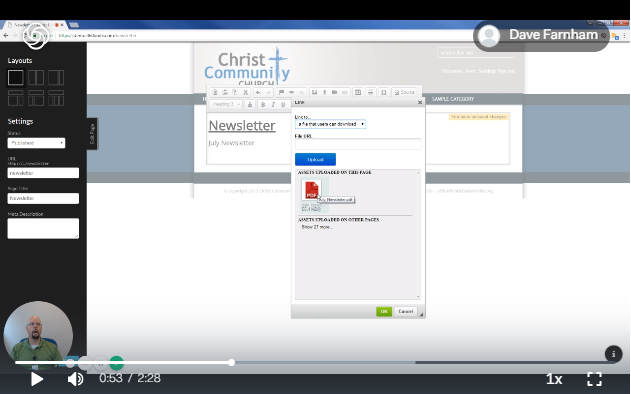 Church360° Unite has a new feature: Mailing Lists! This powerful new utility makes it easy to email any number of recipients right from your default email client. It can be found in the administrator navigation bar next to "Users" and is only accessible to all Church360° Unite site administrators. When you first sign up for Church360° Unite, one of the default pages that you receive with a site layout template is a feed called "Sermons." Posting your sermons online is a great way to engage your visitors with the Gospel, and a Feed page is the best way to do that. However, Feeds can be used for more than just sermons. 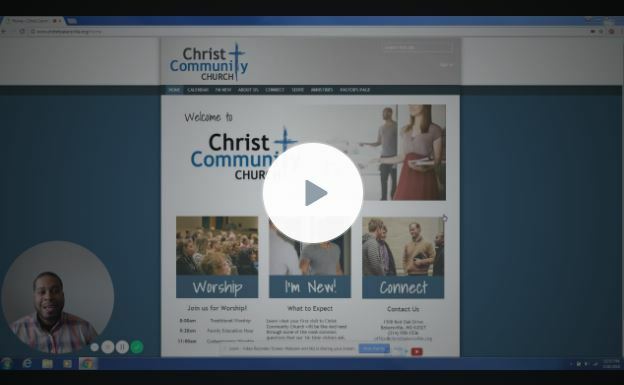 With Church360° Unite, it is quick and easy to change the appearance of your church website by using a different theme or selecting a new preset. Make your church more memorable by establishing or building up your church brand. 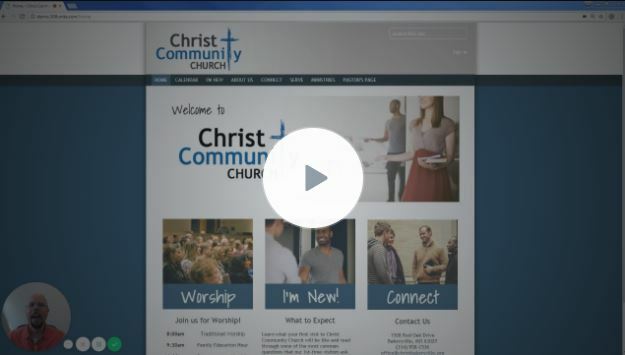 Having a consistent visual representation of your church across multiple platforms will help make your church and your messaging more memorable and identifiable. Visiting a church for the first time is more uncomfortable when you don’t know anyone who attends. 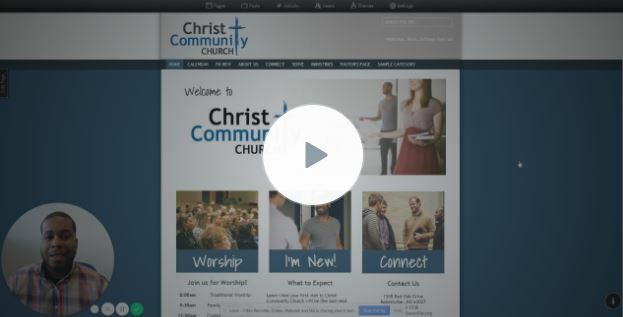 Include up-to-date pictures of the church staff on your site to give potential visitors a friendly face to look for. Welcome to 2014! Is your website ready?